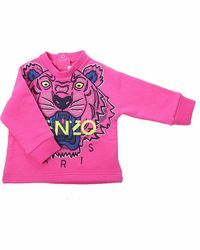 The destination for statement separates that will instantly elevate modern wardrobes to the next level, KENZO is a premium French fashion house that has garnered a loyal following for its seriously chic collections of urban-inspired closet staples since its launch in 1970. 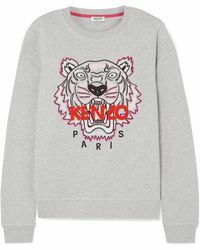 Known for fun graphics, bright colours and clean lines, pieces from this Paris-based atelier are loved by celebrities and style mavens around the world. 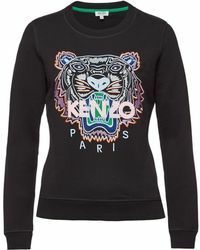 Fun, statement-making and seriously cool, KENZO sweats are coveted by cool girls around the world for their exclusive prints, luxurious embroidery and iconic eye motifs 'wear with leather separates for instant chic. 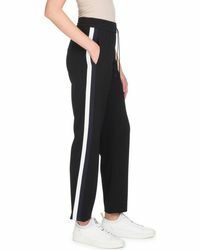 Showing 1,797 results for "Women's KENZO Activewear"